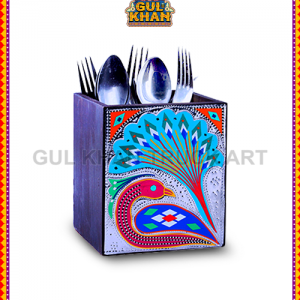 Tune your kitchen environment with a vibrant display of Gul Khan’s cutlery caddy that gives life to your silverware. 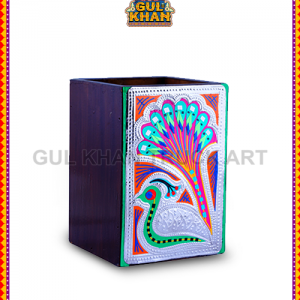 Made with smooth natural wood which is easy to carry on picnics or placing in birthday parties and other functions. An elegant combination that also makes the routine task of picking cutlery fun.